Try variety of quotes on Geico auto insurance products and other insurers. When you think about Geico, it’s not just the high quality of services, wide set of products, and excellent customer support that come to your mind, no sir. It’s an extremely cute mascot, too! As to the auto or home insurance it provides, the range of products is really impressive: from auto and property to business and travel, the company covers almost everything. Vehicles of different kinds, jewelry, pets, and much more – you are offered plans and options that enable you to create custom policies featuring the things that you find most appropriate. The company also has a very useful website that is convenient to navigate and has a set of tools implemented which make it possible to buy car ins policies online. Auto Insurance. 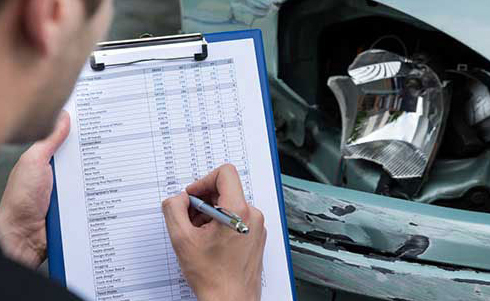 The standard coverage (BI/PD liability, med payments, comprehensive/collision, and uninsured motorists) is accompanied here by extra features such as mechanical breakdown and rental insurance, and roadside assistance. Qualifying drivers may also be offered first accident forgiveness, which helps you avoid premium increase in case of being involved in your first accident. The option applies to policies, not to drivers (so there’s one first accident to be forgiven per policy). Those who do not qualify can buy the option as an extra feature. The Geico discount system includes such ways to save as discounts for drivers aged 50+, students, the military, Federal Employees, and more than 500 qualifying groups. The company has also developed an app to find affordable gas stations located nearby and a car buying tool. Motorcycle ins. The implied standard coverage can be extended: you can have your policy cover your motorcycle accessories such as seats, chrome pieces, saddlebags, etc. If you insure more than one motorcycle, you can get a discount of 10%. More discounts are offered for switching, obtaining multiple policies, being an experienced rider, completing safety courses, and renewing your Geico policy. ATV coverage. The standard coverage is the same as in any vehicle policy (see the auto section), yet you can extend it to cover your helmet and other accessories. To get an ATV policy at a reduced price, you can insure multiple vehicles, get more than one Geico policy, be a mature rider, and install an anti-theft system. RV policies. With this policy, you get coverage of med payments (faced in case of accidents; the coverage applies regardless of who’s at fault), total loss reimbursement, vacation liability (BI/PD at the site of your vacation), emergency expense coverage, no charges for windshield repairs (plus $50 for the element replacement), and personal item replacement. Boat/PWC coverage. Many of those who own a house believe that their homeowner’s policy covers their PWC, but it is likely that it does not as such policies are characterized by strict limitations. At Geico, you can get a policy for your boat to get extensive coverage that includes the boat itself, your trailer, motor, med/physical damage, and personal liability. Completing boat safety courses, being a good car driver (yes, car! ), etc. can help you save on your boat policy. Collector Car Insurance. All collector cars are covered at the value you choose (Agreed Value), and no depreciation is taken into account if a claim is filed. Whatever your rare auto is, there’s no need for vehicle appraisal, and the deductibles implied are quite low. Homeowners Insurance. Damage done to your home, liability, possessions, and much more – all these things are covered by Geico homeowners policies. You can save on it if you install smoke alarms (if you don’t have one, a fire extinguisher will also do), and a home security system. Another way to save is obtaining several policies issued by Geico. Travel ins. The special Geico Travel Insurance product is called ExactCare. According to its terms, you can get coverage of last-minute cancellations, travel assistance, dental/med coverage, and more. Pet ins. With Geico pet insurance, you can have up to 90% of the veterinarian bills reimbursed. You can insure your cat or dog, and more pets you have, the better the discount: you can add all your pets to the same policy, save even more if you neuter/spay your pet, and pay in full. Geico is definitely an insurer with a well-developed set of products. The policies described above are just a small part of what Geico can offer, including Ridesharing coverage, Renters, Condo, Landlord, Identity Protection, Mobile Home, Flood, Business Owners, Life, Professional Liability, General Liability, Workers’ Compensation, Overseas, Commercial Auto Insurance, Umbrella, and Jewelry protection. Try such low quote from Geico, Progressive or other insurers to get the most preffered auto or home insurance policy for your car or house.